Kids and adults alike love Lego and our family is no different. 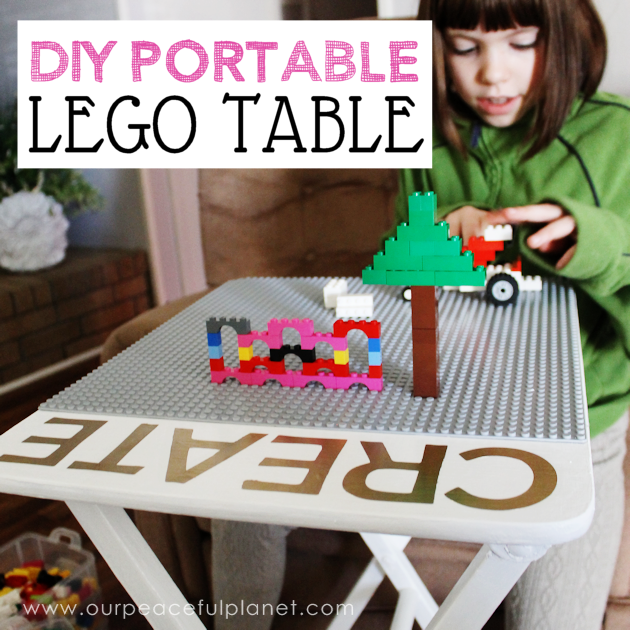 I wanted a portable DIY Lego table for my newly updated living room and I wanted it to match. I went through my garage and found an old wooden TV tray. It was perfect! 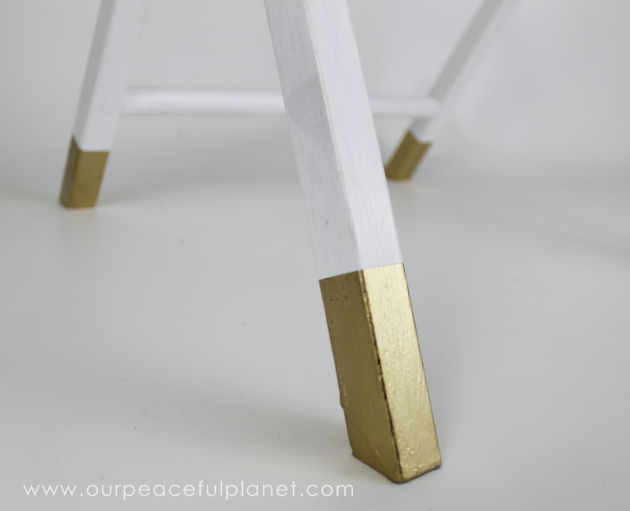 I painted it to match my living room and even added some gold stickers and leg tips. It’s chic and fun! 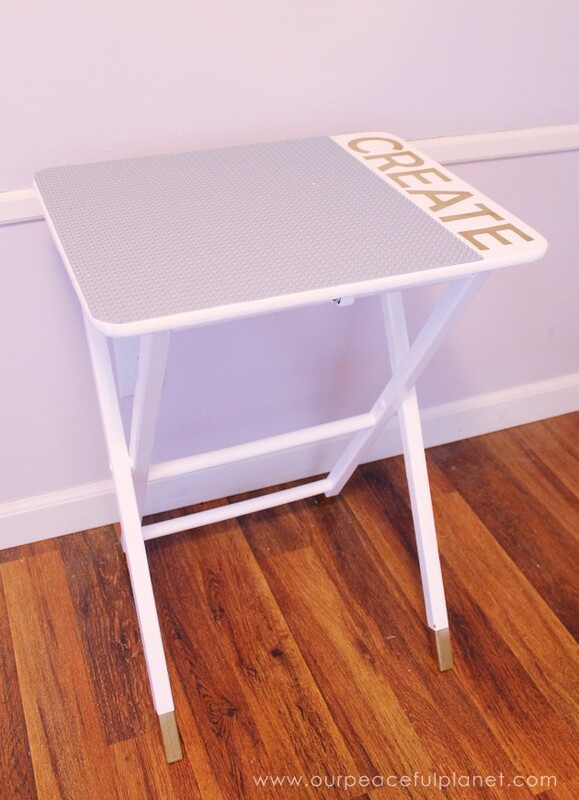 If you’d like to use the “CREATE” text you can download it as either a pdf or Silhouette file. 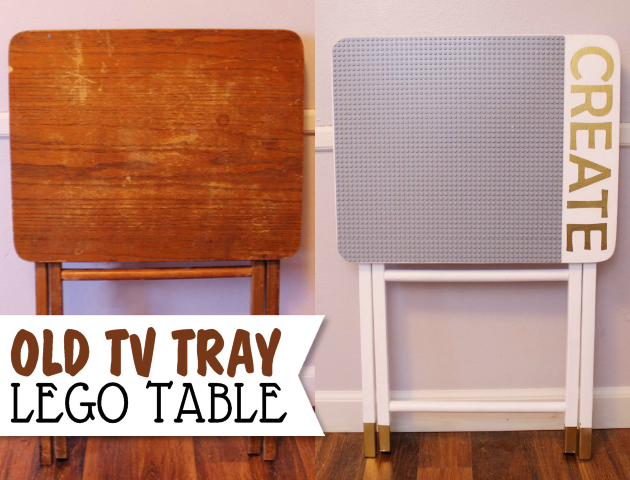 It is sized to fit a standard tv tray. This was the old TV stand I started with. Most of the top will be covered so sanding is optional depending on the shape its in. It took about four coats of paint. I hand painted mine but spray painting would work great also and be much quicker. Because my tray had rounded edges I wanted my Lego mat to match so we traced the corners. My TV tray measured 19″ x 15 1/4″. 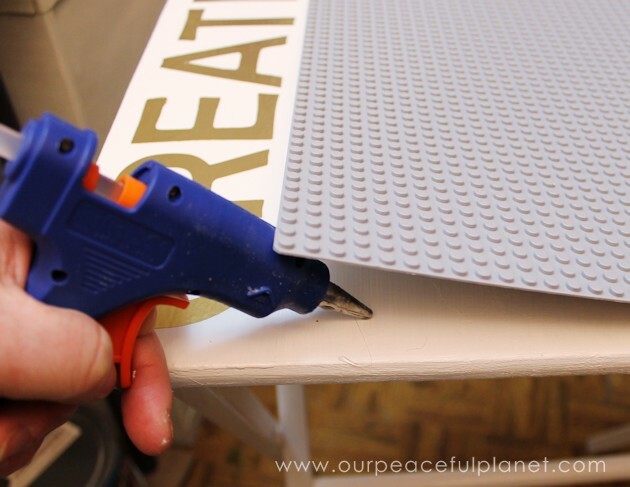 The Lego mat was 15″ square so we had to cut one row off of one side for a nice fit. 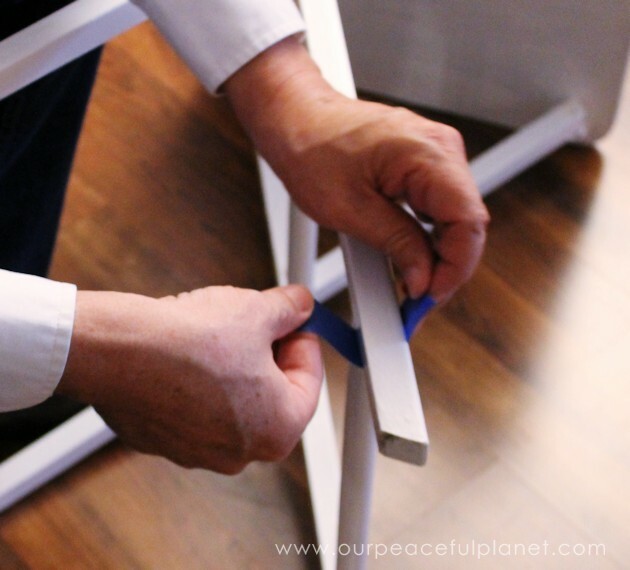 Then we cut the rounded edges. 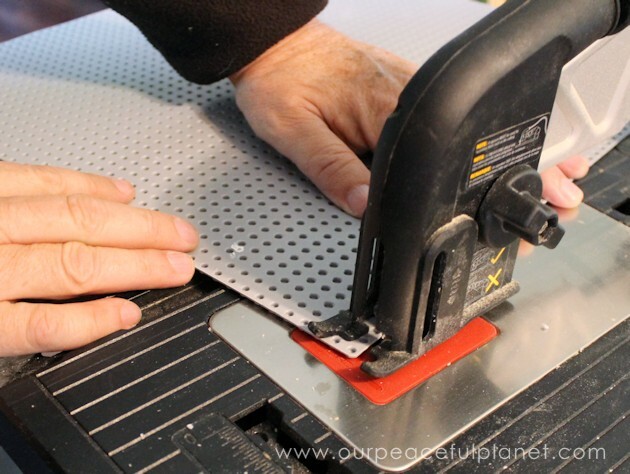 I’ve seen people cut these mats with a strong utility knife also. Just be very careful if you choose to do it that way. 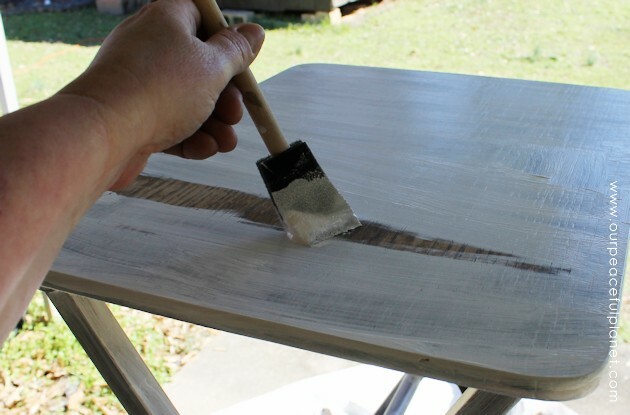 After we sawed the corners I took a light sandpaper to them to smooth them out. I could have ordered two mats to cover the entire top of my tray but I liked the idea of having text on one side. I chose the word “create”. 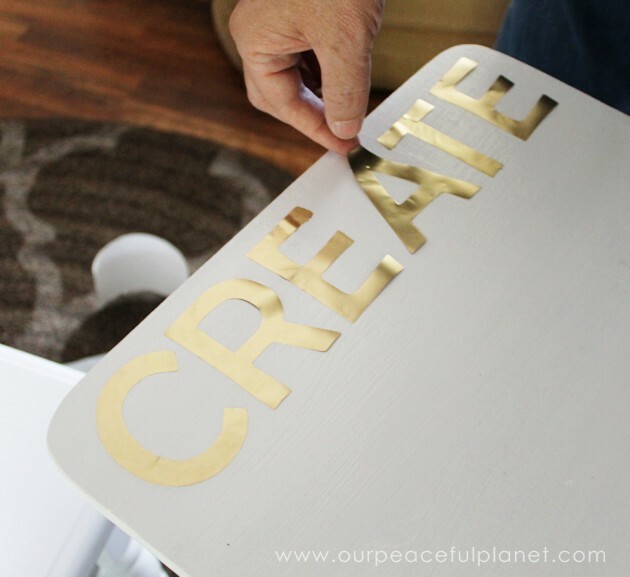 As I had a Silhouette cutting machine, I cut my letters out of vinyl and then spray painted them metallic gold before applying. 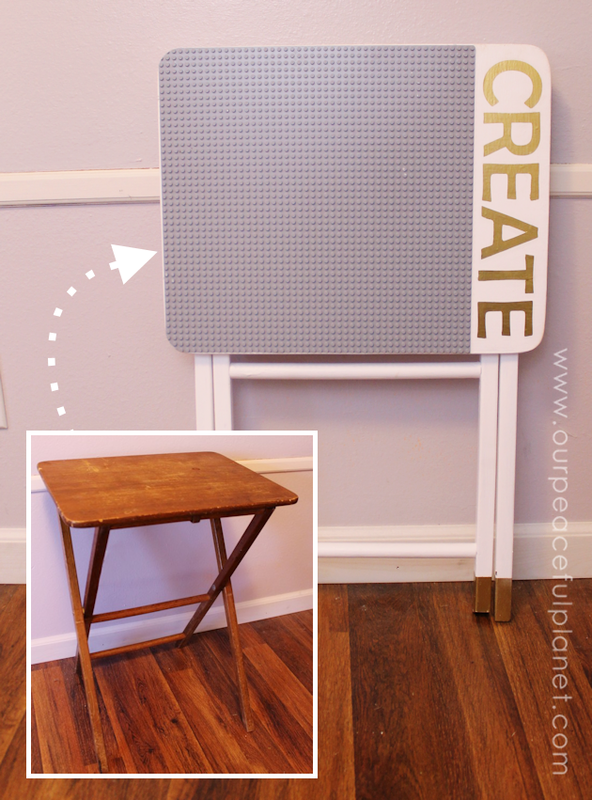 You could also print out the letters, cut them out and then Mod Podge them onto your tray. I used hot glue to attach my mat on all edges. Any glue would work. 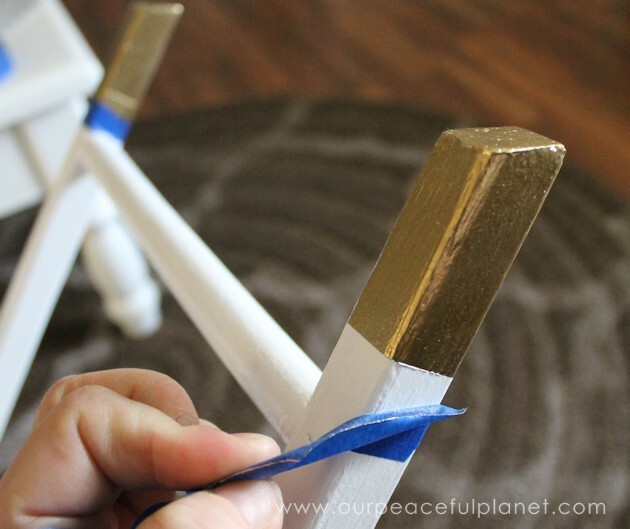 I wanted gold tipped legs so we taped them up for painting. 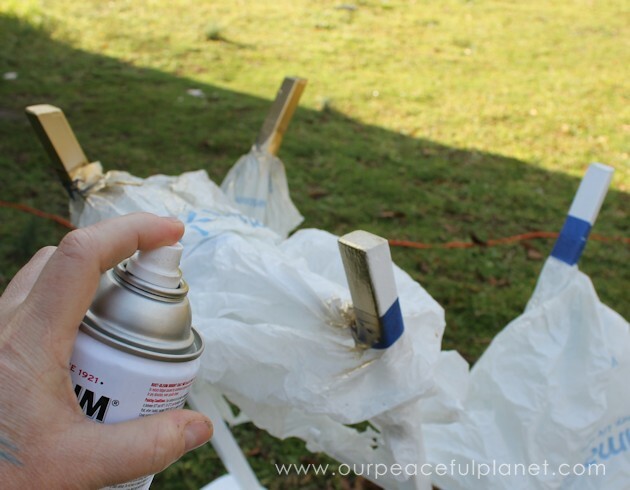 We added plastic bags to keep the paint from spraying onto the rest of the tray. I toyed with the idea of adding a handle on the edge but as the tray is so light I decided against it. My tray stands against the wall in my living room ready for use. Such a clever idea! Thanks for sharing! 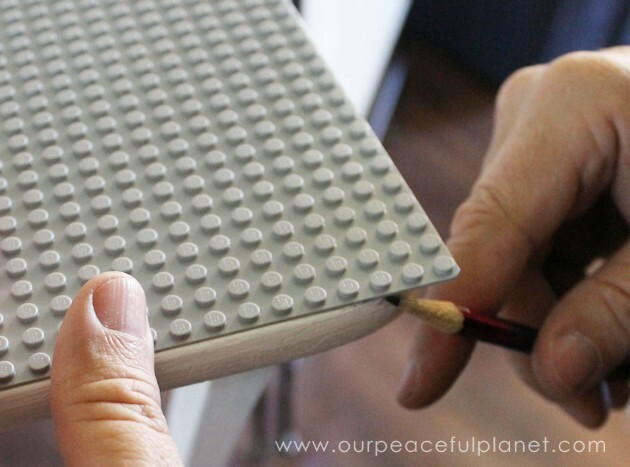 If you center the lego plate you wouldn’t have to cut it. Yeah… very true. I just wanted to add that side text. But it’s certainly not needed! Great idea! My son’s Lego pieces always end up all over the coffee table. If he had one of these, maybe I can get my coffee table back! What an awesome idea! I love this! 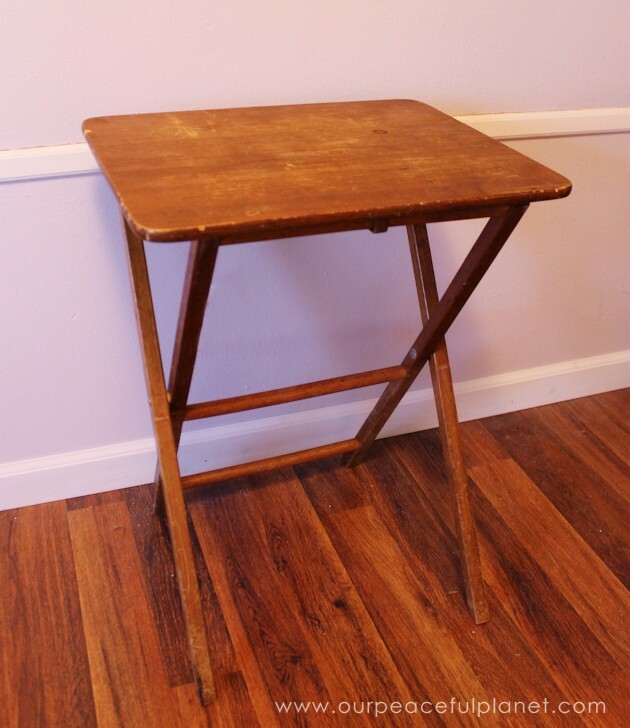 We even have wooden tray tables that look just like yours. Great idea! I love the fact that you can fold it away when the kids have finished playing. Such a great idea! Kids bring their toys out into the living spaces all the time (or at least mine do, even though we have a designated toy room!) so this would at least control the Lego chaos. Visiting from Bewitchin Projects party. 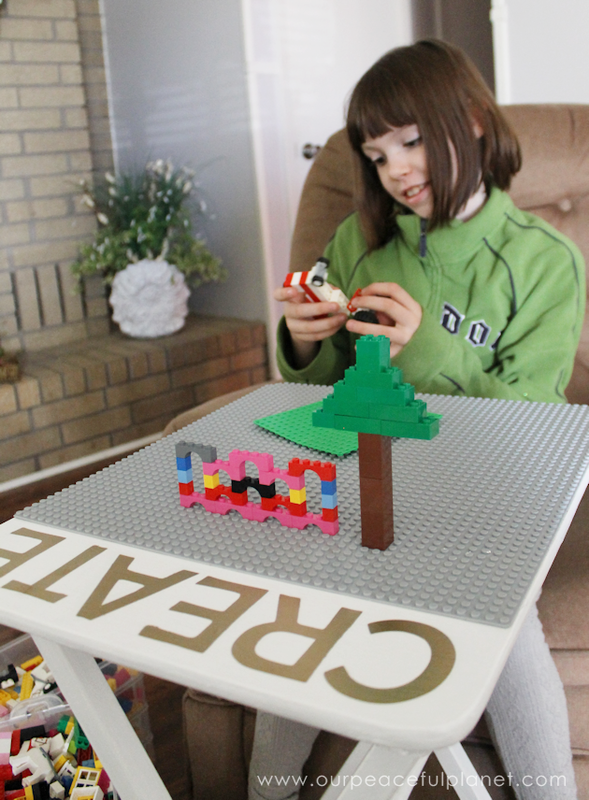 The Lego table is simply awesome! Love it! 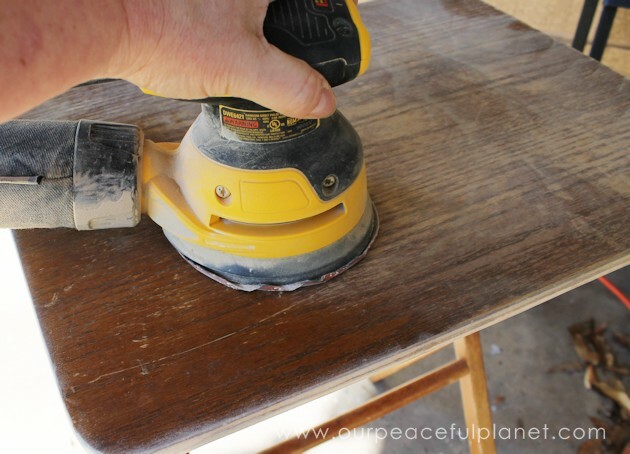 I wander if I could use a hand held jig to cut the mat? Time to go read instructions! Have a great weekend! Such a clever idea. 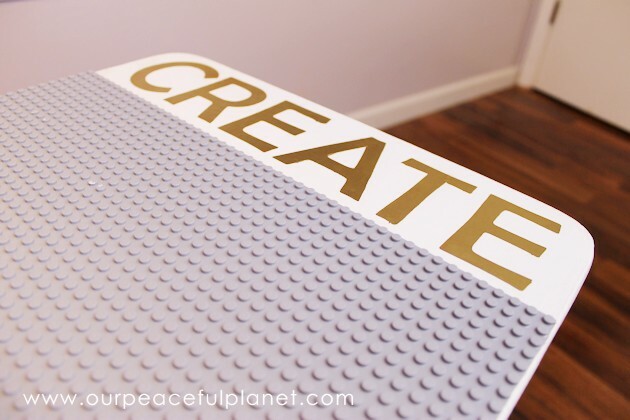 Absolutely love this, especially since otherwise LEGOs get spread all over the floor. 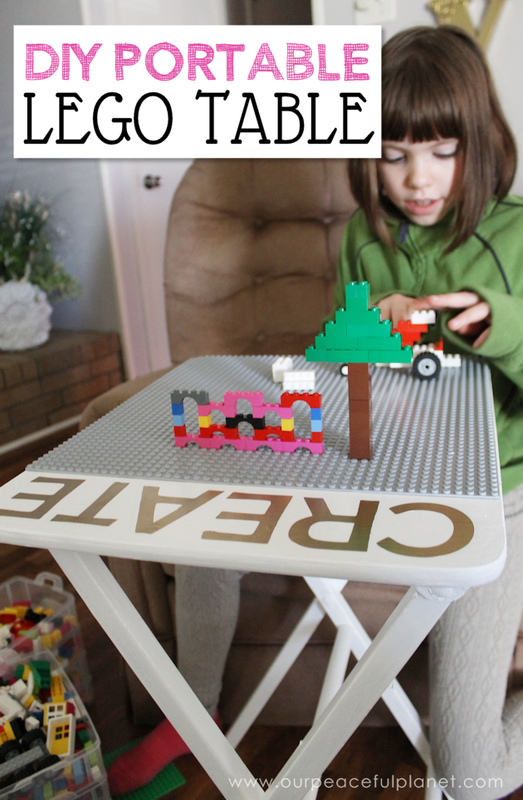 I love the idea of a table that can be folded and put away, but it still has the Lego base attached. Cool! This is so creative! 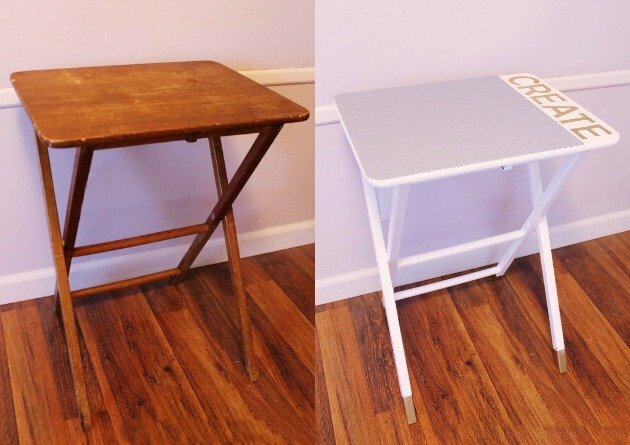 I especially like how you gave new life to an old piece of furniture you had. Pinning! Thanks for sharing, stopping by from SITS. Thanks for stopping by Anika!